It’s only a matter of time and we all will be superfluid. We are already living in a superfluid society where everything flows. We are overwhelmed by choice, data, social platforms and ambition. How do we navigate in a world where change is the law of life? A series of misfortunate events might have set us back a couple of decades (#COVFEFE) but they are not representative of a much stronger undercurrent where all friction between age, gender and cultural differences is slowly dissolving. Generation Y has been dubbed the gender-fluid generation. No longer did we identify with one gender but instead we broke down the gender wall and showed the world it was possible to fluctuate between feeling more male of female. Orange is the New Black-star Ruby Rose and Miley Cyrus both identify as ‘gender-fluid’. Young people are increasingly challenging conventional gender stereotypes and brands are eager to cater for every need. Facebook now offers custom gender identities to include a variety of options such as “androgynous” and in the US some universities accept gender-neutral pronouns, allowing students to be called “they” rather than “he” or “she”. 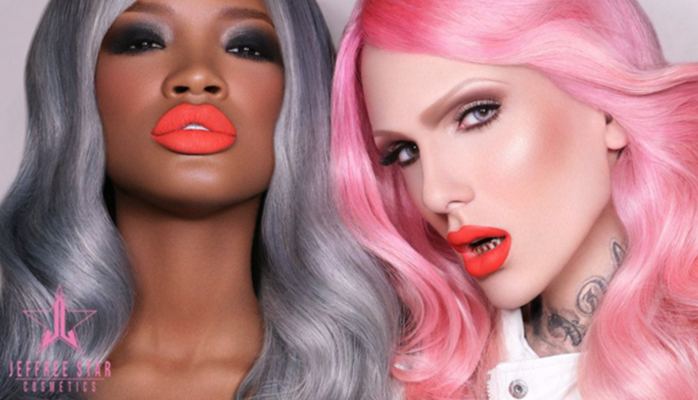 Vogue Italia featured Violet Chachki (winner of RuPaul’s Drag Race season 7) in a superfluid editorial photoshoot and beauty brand Covergirl made history by enlisting YouTuber / Beauty Guru James Charles as their first-ever ‘Cover Boy’. As the gender-fluid community gains visibility some designers have taken on the task of creating gender-neutral pieces for everyone, and androgynous pieces for masculine-identified women. Unfortunately, many of these brands (69Worldwide, Toogood London, Notequal) are high-end and difficult to find, but it won’t be long until this wave makes it into the mainstream. In 2017 the concept of growing old is…getting old. Scientists are treating old age as a disease that – in time – can be cured. The only certainty we had in life is swept away from under our feet. It may soon be possible to extend our life expectancy to the point where people will turn 130 years old in good health. Some people even say that the first person that will reach the age of 1000 years has already been born. The concept of age has become superfluid and in a world of abundance time will be our most precious resource. People who can afford it will be able to buy more time on this planet…and they better use their time wisely because according to pessimistic environmentalists our planet will no longer be suitable for human life in 150 years (so thank God for #alternativefacts). If time no longer is a determining factor in our life people will be able to start a second or third career or maybe a fifth or sixth relationship. But be aware. With the Unbearable Lightness of Being (Milan Kundera) on the lurk our new found immortality may have the opposite effect as death becomes her. 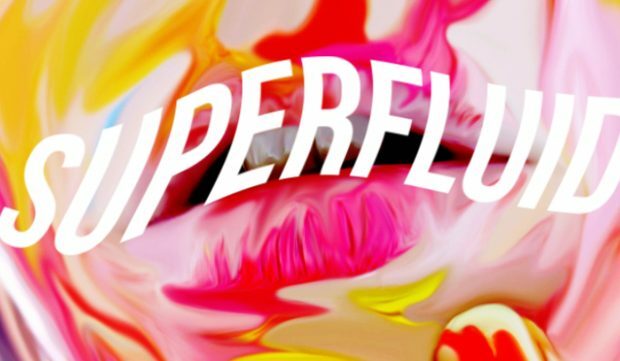 In this superfluid world, marketeers are challenged to influence behaviours against a constantly shifting backdrop. Thanks to social media public opinion can change within the blink of an eye. Last week YouTuber / Beauty Guru / Brand Owner Jeffrey Star had to make an official apology to millions of fans when he was accused of racism when an unfortunate 10 year old video of Jeffrey popped up. Marketeers must be swift on their feet and play a central role in the definition of their brand to ensure brand communication doesn’t just become an empty wrapper. They need to be superfluid themselves. In marketing we put a lot of emphasis on big data, clicks and measurements. Big data is essential to our work but in order to surprise, inspire and motivate people you first have to make the effort to really understand your audience and then find a creative way to make a lasting connection. Don’t hide behind big data but use creative online and offline marketing strategies to reach your specific audience and achieve amazing results. Your first and primary goal is always to create an emotional connection with the audience. After the connection is made you can invite your audience to take action. If your brand message is relevant this will result in higher brand awareness, a stronger connection with the audience or simply more clicks. But never the other way around! Make an effort to offer your audience a great, memorable experience over a few more clicks. Diversity and creativity are inextricably entwined. Marketing and brand professionals need to be conscious of the big and small steps that they take to encourage diversity of all types. Are you working with female directors or photographers? Are you including women, people from ethnic minority backgrounds and (why not?) 130 year old seniors on strategic marketing or agency positions? If not maybe now is the right time to change it up.